Slated to take place January 15 – 19, 2018, Salon International de la Haute Horlogerie (SIHH) is merely a month away. Rather than waiting until the exhibition itself, some brands have unveiled a few previews to give us a taste of what to expect. Here are some of our favorite pre-SIHH 2018 watch releases that have us pumped for the first big watch fair of the new year. The Audemars Piguet Royal Oak Offshore is a fantastic watch that keeps track of time perfectly. 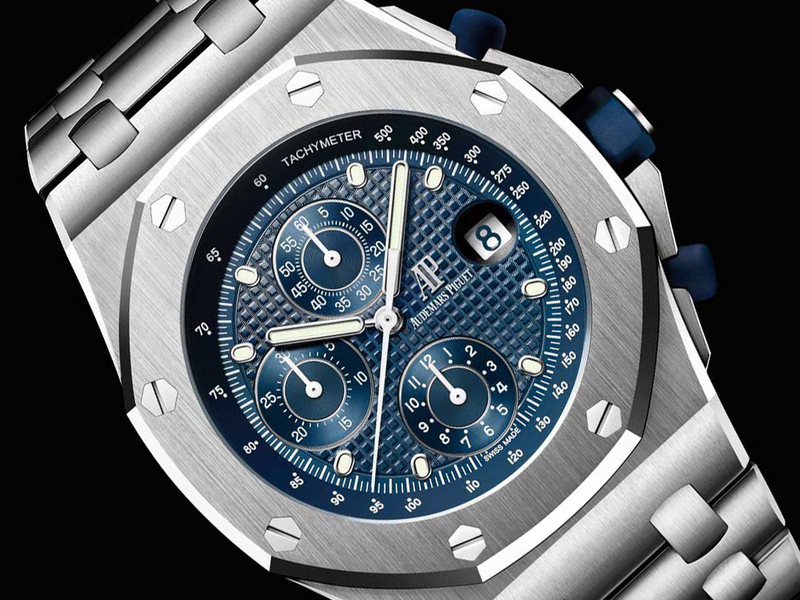 To mark the 25th anniversary of the Royal Oak Offshore, Audemars Piguet has reissued the inaugural ROO model from 1993. Featuring a 42mm stainless steel case, an octagonal bezel with eight hexagonal screws, a blue “Petite Tapisserie” dial, rubber-clad crown and chrono pushers, and a steel integrated bracelet, the 2018 version is almost identical to that very first model. One major difference with the reissue is a newer movement—Caliber 3126/3840—with 50 hours of power reserve. Another welcomed modification is an updated butterfly folding clasp, which is more secure than the original one. A quarter of a century later, the appeal of the super sporty and ultra-masculine Audemars Piguet Royal Oak Offshore has certainly not lost its appeal. The Vacheron Constantin Overseas Dual Time caught our eye. 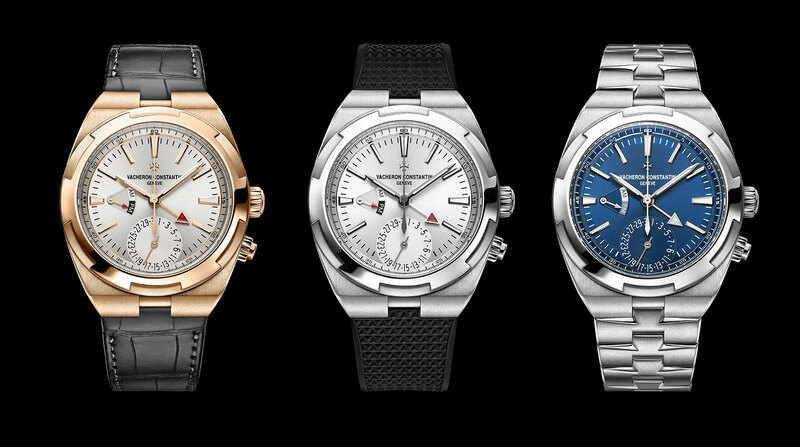 Vacheron Constantin brings back the GMT option to their luxury sports watch collection with the new Overseas Dual Time, powered by the in-house Caliber 5110 DT. An undeniably practical function, the second time zone is indicated by way of an arrow-tipped hand joining the customary hour, minutes, and seconds center hands. Also on the dial is the date subdial at 6 o’clock and the AM/PM indicator at 9 o’clock. The dial is housed within a 41mm case, offered in either stainless steel or 18k rose gold, which is topped by the characteristic six-sided bezel. Further enhancing the practicality and versatility of this new Vacheron Constantin is the easy interchangeable strap system. In fact, the steel Overseas Dual Time comes with three bands (steel, leather, and rubber) while the gold model is presented with a leather band and a rubber strap. The IWC Tribute to Pallweber Edition “150 Years” has a unique design. 2018 will be a big year for IWC as the company will be celebrating its 150th anniversary. As a result, fans of IWC will be treated to a slew of commemorative models including this Tribute to Pallweber Edition “150 Years”—an homage to the Pallweber pocket watch from the late 19th century. 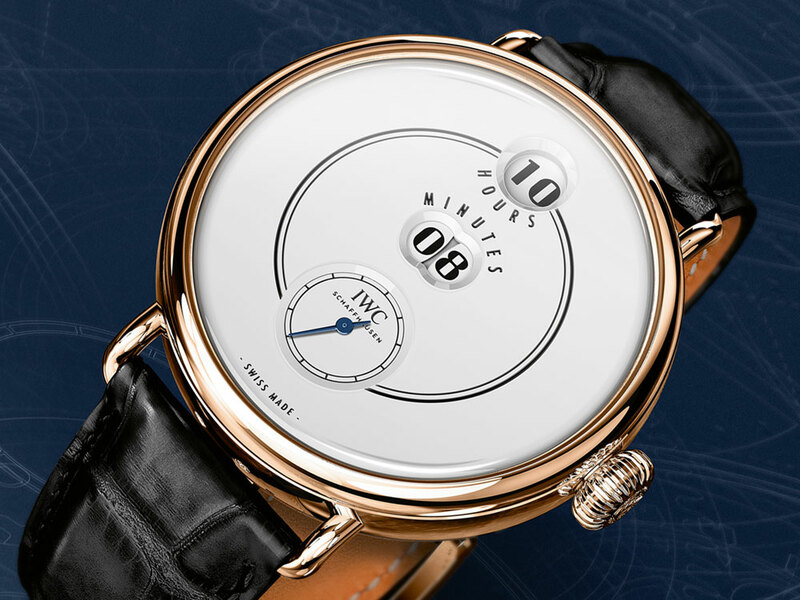 IWC reinterprets the legendary pocket watch with jumping hour and minutes display windows into wristwatch form. Encased within the large 45mm red gold case is a stark white lacquer dial with an aperture for the jumping hours, followed by a jumping double-digit minutes window below it, and lastly, a running seconds subdial at the bottom. Plus, flip the watch around for an expansive view of the new in-house IWC Caliber 94200 working away within. The novelties that come out of SIHH typically set the tone for the luxury watch space for the rest of the year and we’re excited to see what timepiece trends will be unveiled for 2018.